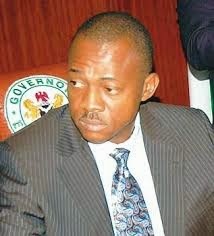 An Enugu Federal High Court on Monday ordered the police to reopen the Enugu State House of Assembly complex, which has been under locks since some lawmakers moved to impeach Governor Sullivan Chime. The House was thrown into crisis after the development, as about seven lawmakers, who were opposed to the planned impeachment, suspended the Speaker, Eugene Odoh, and elected Chinedu Nwamba in his place. But Odoh is insisting that he is still in charge of the legislative body, even though the leadership of the Peoples Democratic Party in the state, had already congratulated Nwamba on his emergence as the Speaker. Nwamba was also received by Chime at the Government House, a development which prompted Odoh to accuse governor of promoting illegality. Odoh had headed for the court to challenge the development, including the closure of the state assembly by the police. In an interim order made in the suit on Monday, the court presided over by Justice Dorcas Agishi, ordered the police to reopen the assembly. The team of policemen deployed at the gate were equally ordered to leave. Also, the court granted an order guaranteeing the personal liberty of the speaker. The police was restrained from curtailing his personal liberty. The court also ordered that the speaker and the other 14 pro-impeachment lawmakers should be allowed access to the legislative complex, particularly the chambers, to conduct their businesses. The suit was filed by Odoh, on behalf of himself and the ‘pro-impeachment’ lawmakers, by his counsel, Chuma Oguejiofor, against Nwamba and other members of the House, as well as the police. The impeachment plot was stalled after the governor-elect, a member of the House of Representatives, Ifeanyi Ugwuanyi, intervened in the matter. There are indications that the Odoh-led faction would have pressed ahead with the plan to remove the governor, if not for the closure of the Assembly by the police.